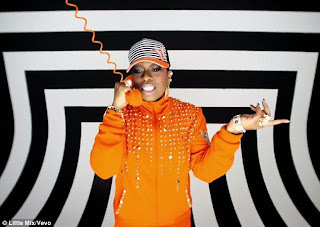 Legendary rapper, Missy Elliott joins forces with Little Mix in their vibrant new music video How Ya Doin? Leigh-Anne Pinnock, 21, can be seen wearing a cropped cut-out black and white striped polo neck with a patterned skater skirt. 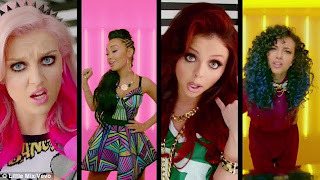 While Jesy Nelson, 21, wears a sports jersey over a pair of emerald lace shorts and black knee high socks as her red hair falls down her shoulders in loose curls. Perrie Edwards, 19, and Jade Thirlwall, 20, team trousers with crop tops. as they sing about loosening their ties with a former flame. The girls kept it as colorful as ever with each one showing off her individual style on their loud ensembles. 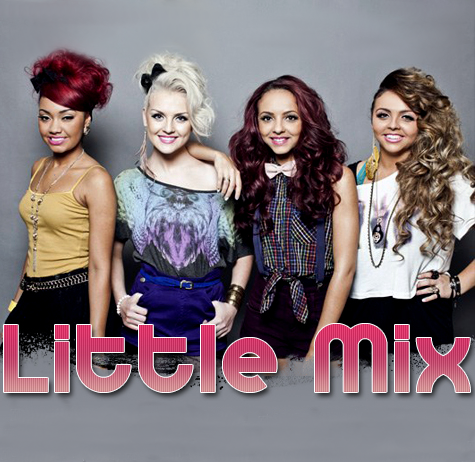 The girls have come a long way since winning the eighth series of The X factor in 2011, pocketing hit singles like Wings and Change Your Life. 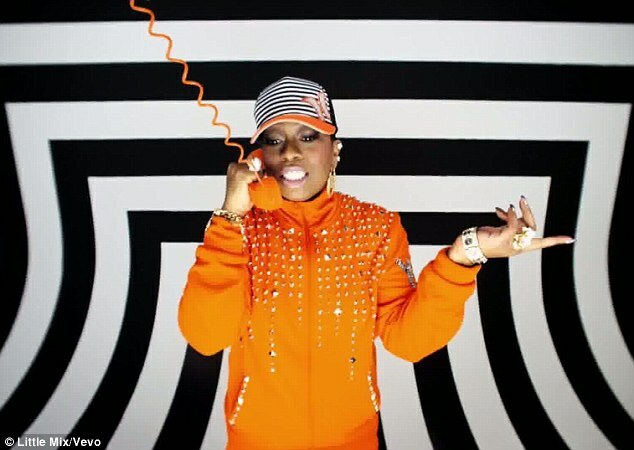 Now Superstar guest and legendary female rapper Missy Elliott offers her vocal skills to the girl's new single.